Because a drip system delivers water at low pressure and close to the root zone, water does not evaporate as quickly or get blown away when it’s windy. There is also less runoff which is particularly important for sloped areas. Compared to sprinklers that may be only 65-75% efficient at getting water to your plants, this method offers 90% efficiency or more. This means less water is wasted and you save on your water bills. It’s easier to cover odd shaped areas with flexible drip hose compared to trying to cover them with sprinklers that can only spray in certain directions and patterns. With a drip system, it is easier to keep soil moisture levels consistent, which is much better for plant growth and survival. 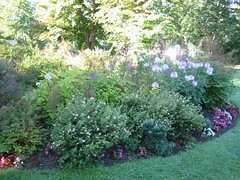 Compared to changing a sprinkler line, drip hoses can easily be added or moved as plants mature, if new plants are added, or if some are removed. Drip irrigation has been used effectively for years in commercial nursery and agricultural operations. Now, it’s easy and affordable for homeowners to get many of the same benefits and results for their gardens. 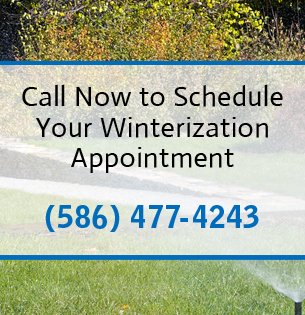 We would be happy to set up an appointment to see how adding a drip system would benefit your gardens.